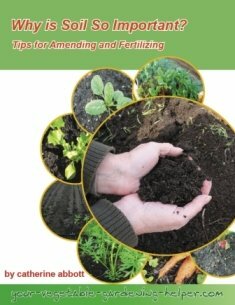 Soil amendments - Building organic soil is important. What soil amendments will improve your garden soil? Few of us have ideal garden soil. 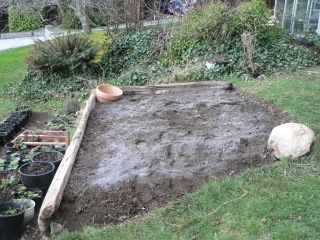 By adding in soil amendments you can improve the structure and texture of your garden soil you do have. I recommend adding in 3 - 4 inches of organic matter to your garden beds each year. This will give you a healthier and more productive vegetable garden. The following soil amendments will help you in building organic soil. Compost Will add in organic matter to your soil. Often does not have lots of nutrients but has beneficial microorganisms. 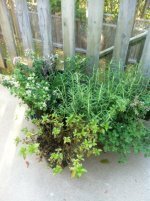 Can be made in a compost bin in your backyard, in worm composting bins or purchased. Peat moss: Will help increase moisture retention and improve sandy soil. Easily found in most nurseries and is fairly inexpensive. Animal manures: Will add nutrients and bulk to your soil. Steer, horse, pig, poultry, llama, and rabbit are some examples. Use well rotted manures; fresh manures will burn plants. Completely dig it into your garden. Animal manures often contain weed seeds which will grow if not turned under. Dried manure can be purchased bagged at plant nurseries. Best time to apply is in the fall or very early in the spring. Seaweed: Will add nitrogen, potash and trace minerals to your soil. Fresh seaweed can be collected from the beach. It is usually more plentiful in the fall. Chop it up and dig into the soil or add it to your compost. Dried seaweed can be purchased in most plant nurseries. Sawdust, wood chips or straw: Will add bulk to your soil. Suited for clay soil; will make the soil texture lighter Will use up nitrogen to decompose so you may need to add in more nitrogen as a soil fertilizer. Local sawmills or landscapers will often give sawdust or wood chips away for free. Can also be purchased at most plant nurseries. Green manures: These are plants grown in the fall and tilled under in the early spring, often called cover crops. Some examples are buckwheat, clover, fava beans, fall rye, field peas, hairy vetch, and oats. Will add bulk to your soil which can improve drainage and aeration. Some varieties will add nitrogen to your soil. Will protect bare soil so it does not blow away with wind or leach with excess rainfall. Which animal manures is better for your soil amendment? Horse: decomposes quickly does not have long lasting effect on the soil use for quick growing crops like lettuce, cabbage, radishes. Pig: has slightly more nutrients than horse manure less organic matter than horse manure takes longer to decompose (mix with straw to increase decomposition) benefits slow growing plants like onions, squash. will benefit sandy soil. Let me help you with your garden soil preparation now that you know more about what soil amendments will work best for your garden site.